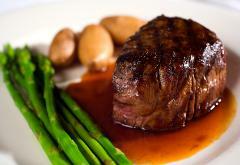 the meat onto your plate and you will no longer have a juicy steak or roast. sugar. And of course as always your favorite spices or Italian seasonings. large pot and cooked up in about 30 minutes. suit your personal preference and which ones will compliment each other. hours depending on cut and thickness and you'll get great results! preference and your cooking experience.